A luffing and trolley travel hoist for bagged material used by two vessel loaders at Lake Charles, Louisiana. The hoists are fitted with Dellner SKP service brakes with mounting stands installed between the hoist motors and the reduction gears. The brakes were also manufactured with extra protection to prevent corrosion from sea water. Dellner products are used in a wide range of workboats including tugs, fishing boats and coast guard vessels. Major customers include US Seafoods, Trident Seafoods, Pesca Azteca, Frabelle Fishing, Western Rivers, ARTCO, Campbell Transportation, Moran Towing, Crowley Maritime, Excell Marine, Hunter Marine, Canal Barge, Andrie, Foss Maritime, Kirby Corporation, Sause Bros and Seaspan. Swedish-based braking manufacturer Dellner Brakes acquired US brake and clutch specialist Gummi USA in September 2017. The enlarged business is now working seamlessly together under one umbrella and the company’s US stock and distribution operations have been consolidated to the Dellner Gummi USA facility in Houston, Texas. In January, Dellner Brakes expanded further with the acquisition of German industrial braking manufacturer Pintsch Bubenzer. Dellner Gummi USA products are ABS Type Approved and can also be delivered with ABS Unit Class Certification. Dellner Brakes continuously updates their product line and has introduced the Dellner Brakes all electric STL (Stopping, Turning, Locking) system – reportedly the first of its kind in the world. Brakes are also needed to stop and hold deck machinery such as winches, cranes and tensioning systems like cable or pipe laying equipment. For these purposes, customers can choose from Dellner Gummi USA FKT pneumatic drum clutch/brakes or Dellner Brakes’ spring applied / hydraulic or electric pressure released SKP disc brakes. The Dellner Gummi USA FKT is well suited for applications with the most demanding equipment where severe clutching and braking is required. This unit’s capacity for withstanding high starting loads and sustained slippages distinguishes it from conventional clutches. It incorporates superior design and construction for outstanding efficiency and a long operating life, without needing regular maintenance. Launched last summer, the SKP 180 is a revolutionary new failsafe brake from Dellner Brakes. It offers outstanding stopping power with a lightweight design at competitive prices, together with a unique modular design that allows customer to scale the product up for additional braking force, according to their needs. Dellner Gummi USA FM and FKT clutches are used on reverse reduction gear marine applications, facilitating the vessel’s ability to change direction. The units provide for fast reversal times and rapid shifting between forward and reverse gears. 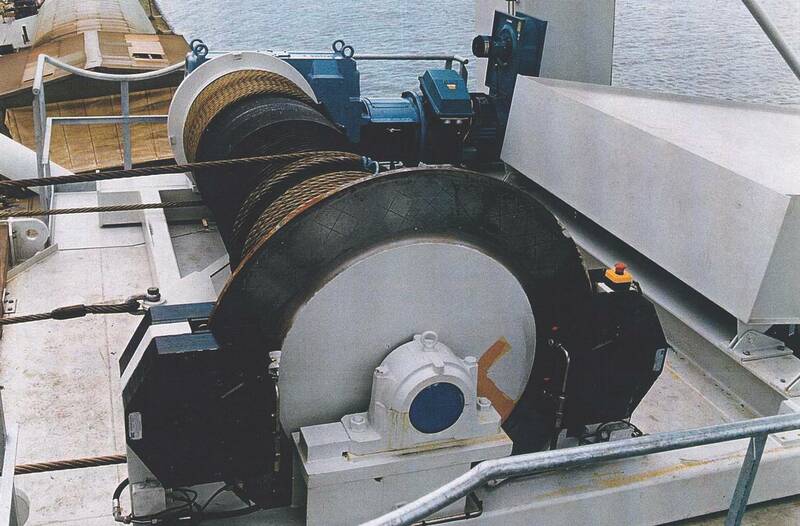 The FM clutch has been specifically developed for marine applications. In addition to its robust construction utilizing an integral rim and tube design, the FM‘s ventilated friction shoes and as-molded linings allow for clutch slippage during forward and reverse maneuvering at low speeds, as well as periodic cycling engagements at high speeds. Where additional stopping power is needed, shaft brakes are designed to kick in and stop the propeller shaft between disengaging the forward clutch and engaging the reverse. By stopping the shaft, the sequence (from full torque ahead to full torque astern) can be completed more quickly, maintaining the engine’s ideal RPM and preventing ‘shock-load’ where the RPM can slow down and take some 10 to 15 seconds to get back to ideal levels. Dellner Brakes’ SKD dual acting brake (available with hydraulic or electric power), the Dellner Brakes EMD single acting electrical disc brake and the Dellner Gummi USA FKT pneumatic drum clutch/brake are all ideal for this purpose. Dellner Brakes provides additional devices for optimum control of the propeller shaft. Their LM locking devices (available with manual operation, hydraulic or electric power) hold the shaft securely in place, even in ship failure modes, with a force that is much higher than a holding brake (125 kN for the LM 20 and 250 kN for the LM 40. These are the two smallest locking devices in the range – the ones most commonly used for workboat applications – but larger devices are available with locking force up to 1,000 kN). Locking the shaft can help to avoid drag, especially in narrow or shallow water and, in a twin propeller or multiple screw vessel, the LM can be used to hold one of the shafts while the other(s) are operating. On coastal waters, the LM can secure the propeller and prevent damage to the shaft and bearings if the vessel is drifting or being buffeted by waves. Dellner Brakes also manufacture turning devices that can be used to turn the shaft when in harbor to exercise water lubricated bearings, help reduce marine growth on the propeller blades and for routine maintenance all without needing to turn on the engines. Turning the shaft through 180 degrees while moored can also stop it bending. The turning and locking devices can be combined with an SKD disc brake into a full ‘stopping, turning, locking’ (STL) system, available from Dellner Brakes with a choice of hydraulic or electrical power. The Dellner Gummi USA FK pneumatic drum clutch is normally found on hydraulic pump drive applications.